When two brothers from Naples decided to stop doing fashion design for other companies and start a brand of their own, they went hunting for an attention-grabbing name. They discovered that “Steve Jobs” wasn’t trademarked and decided on that. Now, a protracted legal battle has come to an end, and they have big plans for using the Apple founder’s name on pretty much anything. Vincenzo and Giacomo Barbato told Business Insider Italia that they first registered the trademark for Steve Jobs in 2012. They weren’t necessarily inspired by Jobs’ signature black turtleneck and jeans. “The innovator par excellence was Steve Jobs, this was the spark,” they said. As expected, Apple’s legal department soon sent the brothers four large folders of legal documents and went to war. But the brothers won the case. As they tell La Repubblica Napoli, “in August 2014, the Office for Harmonisation in the Internal Market, official organ of the European Union, issued its ruling with a bold line: ‘The opposition is rejected in its entirety.’” In the meantime, they’ve produced various accessories and clothing (including denim) under the name but still faced further legal troubles. 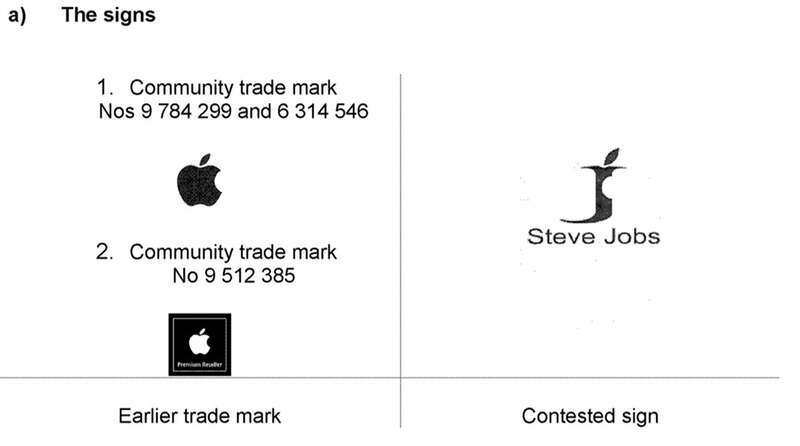 Apple continued to fight the brothers over their logo, a letter “J” with a chunk taken out of it and little leaf on top—obviously inspired by Apple’s iconic symbol. But the courts have decided that the brothers are free to use the logo, and they can finally talk about the case. According to the Barbatos, the court’s decision came down to the fact that the letter is not a fruit, so the missing chunk on the side can’t be a bite. Okay. The brothers claim to now have full legal rights to use the name and logo worldwide, and they’re pushing forward with plans to expand into other product lines, including electronics. They say they’re looking for partnerships and “are in talks for a production of electronics products with a Chinese brand.” They’re serious about potentially releasing an Android-based “Steve Jobs Phone,” but they insist they’ll keep it classy. “We will not do anything low-level, you will never see the phones or TV shoddy with the brand Steve Jobs,” they told Business Insider.